Our product range includes a wide range of pentids 800mg tabs, akloflam sr tab, refen sp, rabimax dsr cap, dartmet pg 1 tabs and jopti tabs. We are remarkable entity, engaged in offering superior quality range of Travatan Eye Drop for Chemist Shops. This eye drop is processed by vendor’s experts using best quality ingredients & leading methodology in accordance with the market standards. Offered eye drop is provided in numerous grades in tamper proof packing. As well, this eye drop is tested on numerous stages by quality controllers so as to deliver a pure range from our side. 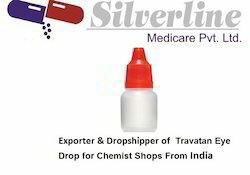 Looking for Travatan Eye Drop for Chemist Shops ?